Here we are setting aside discussion of ancient or traditional honeybee hives and limiting ourselves to so-called 'modern' hives. I note that the use of that word has implications! This is not to say that 'pre-modern' hives were not 'natural', in many cases their design and construction was much closer to the origins of the bee's natural home of hollow trees, caves and rock cavities. But when we are talking about beekeeping in (typically) the urban/suburban environment as hobbyists, we recognise that the practicalities of our urban environment and the existing legislation lead us to only consider modern hives. The history of modern hives can be traced back to the 1700's as apiarists sought alternatives to traditional hives, such the skep. 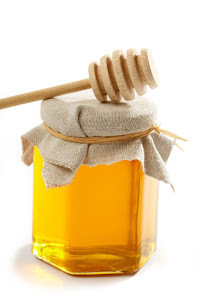 In those days, skep beekeepers extracted honey and wax by first killing the colony with (for example) sulphur fumes. Skep beekeeping is still practiced today, but without the extermination. The general idea of the modern hive was to allow beekeepers to extract honeycomb from the hive without killing the colony. The main issues were that traditional hives did not allow easy access to the inside of the nest and that the bees attached their comb to the walls of the container. Both limited the ability of the beekeeper to removed honey. At some point, moveable frames were introduced into hives which encouraged bees to build their comb within them, rather than attaching it to the hive walls. Development of framed hive continued in various directions until the 1800's saw a rise in the scientific approach to understanding the world. - within the range of the bee space, they were left open. Hives designed with the bee space had major advantages for beekeepers (though not necessarily for the bees, as it happens) in terms of convenience, scalability and honey yields. Langstroth's hive remains the predominant type in use to this day in much of the 'westernised' world. In response to the various threats facing bees, the Natural Beekeeping (NB) movement has formed in the last decade. It is both a philosophy and a practical approach to beekeeping which aims to be bee-friendly/bee-centric in order to (aside from any other moral obligations) allow bees to build immunity through their own natural processes. Many NB practitioners generally view framed hives as a part of the (esp. disease) problem facing bees. 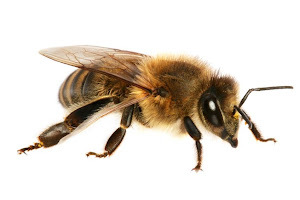 Allow, possibly encourage, beekeepers ('beeks') to intervene in the life of the hive by opening it up and pulling out and (re)moving sensitive frames of brood. This challenges the colony, the bees and their young on a number of levels. They also deny the bees the ability to fasten their comb to the roof or the walls of the nest (hive). 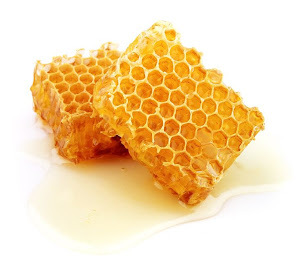 Essentially, combs constructed in frames are islands floating in a sea of air and do not allow the bees to form heat and scent retaining galleries (dead ends) which retain these properties. See this article by Thur on why this principle of NB is important. Are (generally . . . ) a requirement if you wish to use a honey extractor and this promotes the use of frames with wires and foundation - more non Natural practices which we posted about here. So, NB beeks consider (often promote) the use of alternatives to the framed hive. If one does not use frames, then top bar hives (TBHs) are the next step towards 'natural'. This is because TBH's generally allow the bees to build the comb in a way which suits them rather than suits us. The original (non framed) Warre and the Kenyan hives are contemporary hives supported by NB beeks. The Warre derived in the 1950s and the Kenyan lineage arguably going back to ancient Greece. Which brings us to beekeeping legislation. Most legislation (and esp. true for Australia) says that beekeepers must keep their bees in hives with 'easily removable frames' which 'break no comb' when being removed. WHY would the legislation require this? The answer is - to make it easy for beeks and government inspectors to check the comb (specifically the brood comb) for diseases. WHY do hives need to be inspected for diseases? Because diseases not only threaten bees, they threaten our food supply and the beekeeping industry. Fair enough. BUT - from early the 1900s, observers of beekeeping (such as Steiner - who BTW in 1920 predicted that our modern method would lead to the downfall of the bee in 80-100 years . . .) increasingly made a link between the increased prevalence of diseased bee colonies with the introduction and widespread use of framed hives. Some propose that some of the more serious diseases (such as AFB) were unknown before the advent of framed hives. SO - are we now in a situation where a significant factor (framed hives) in the causation of disease is also legislated as part of the solution to these diseases? In other words, are we are locked into a vicious cycle. The legislation requires (in Australia) the use of frames, but does not specifically ban the use of top bars. The Langstroth hive - no problem - fully complies with the legislation - in theory. However, in practice, the Australian built version does have some issues with bees building ladder comb between the frames and that does require breakage. The Warre TB hive - when used with top bars will produce combs which are joined to the hive walls and (under ideal conditions) are arguably removeable for inspection - but does require the combs to be separated from the walls with a special tool. Not what the law requires. The Warre framed hive - is very similar to the Langstroth in box/frame design, just that it's square (see post 1 in this series). It is fully complient with the law, at the compromise of using frames - but the bees benefit from other aspects of Warre's design (such as the sealed roof and square box). The Kenyan hive - is a pure TBH - with no frames. The reason is has sloping sides is to encourage the bees to leave a bee space around the comb and not attach it to the sidewalls of the box. For the most part, this is successful. However bees will sometimes attach a few cm of the top of a heavy honeycomb to the walls. Does it comply with the spirit or the letter of the law? It is an open question. In 2012, in New Zealand - Kenyan hive beekeepers were required to fit fames into their hives. Not an easy thing to do, given the shape and the fact that they are occupied by bees . . . The framed Langstroth and Warre hives are equally acceptable under the Australian legislation. The top bar Warre is probably not. The Kenyan is in a grey area.